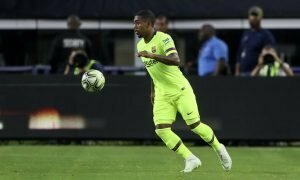 Agent of world-class striker hands Arsenal and Chelsea transfer boost | The Transfer Tavern | Where football transfer rumours fly or die! 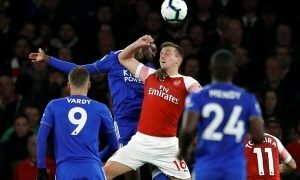 Arsenal and Chelsea fans in the Transfer Tavern have had to be separated after they squared up to each other in the bar, throwing pints over one another as they debated which London side should land this man. The arguments were sparked after reports from The Evening Standard quoted the agent of Paris Saint-Germain’s Zlatan Ibrahimovic as talking up a potential Premier League switch. 34-year-old Ibrahimovic is widely regarded as one of the best strikers in world football and will be on the move in 2016, where his contract with the Parisian side draws to a close. Despite his astronomical wages and old age, Ibrahimovic is likely to be central to an incredible transfer tussle in the summer when he becomes available. Which Premier League side needs Zlatan Ibrahimovic most? Let us know in the comments below!